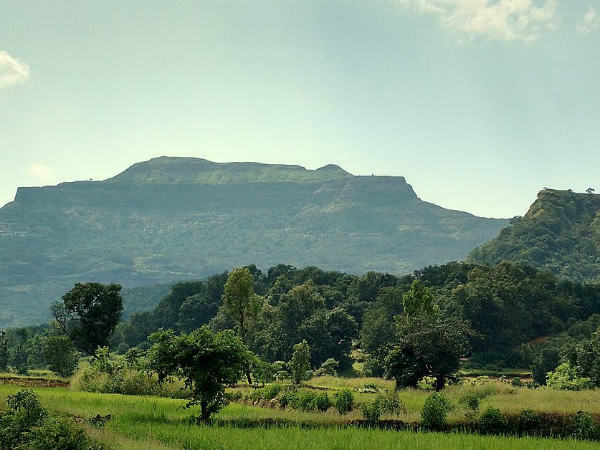 We cannot deny the fact that Maharashtra is home to the most number of hill forts. Each and every district of this beautiful state boasts of some historic as well as natural sites. One such district which harbours the best of hill beauties and ancient spots is Ahmednagar located at a distance of about 120 km from Pune. Ahmednagar has its history stretching back to the late 15th century when the region was under the control of the Nizam Shahi dynasty. It was one of the most prominent kingdoms in the Medieval Period of Maharashtra. Therefore, you can find a lot of historical places here. Some are located on the plains, a few on rugged terrains and numerous atop hills. Have you ever explored these historical places? If not, then you must plan a trip to these beauties which are nestled in the form of forts and astonish every visitor with their majestic beauty. Due to their lush green surroundings and high altitude, these hill forts have also become trekking and camping destinations over a period of time. Hence, they are visited by thousands of locals and offbeat travellers today. If you are keen to learn more about these forts in Ahmednagar, then read on. Also called Jewels of the Fort, Ratangad is one of the most beautiful hill forts in Maharashtra. With an elevation of about 4300 feet, it is located on the border of Ahmednagar district at a distance of around 160 km from the main city. Nestled wonderfully amidst the lush green expanse of the Western Ghats, this marvellous fort dates back to 400 years and houses several ancient sites, such as temples. It is covered with squashy grasslands and colourful flowering plants and hence, it is a perfect spot to spend your weekends amidst serenity and composure. Apart from trekking and camping, you can also visit Amruteshwar Temple, which is one of the oldest temples in the region and is visited by hundreds of history lovers and Hindu devotees. So, how about getting yourself atop this hill fort and enjoying the panoramic views of the nearby settlements? Located in the heart of the city, Ahmednagar Fort is one of the most visited historical monuments in the district. Even though it is not a proper hill fort, it deserves to be explored on account of its natural surroundings and historical significance. As per records, the fort is said to have been constructed in the 16th century when the region was under the rule of the Ahmednagar Sultanate. However, later on, it was captured by the British army, who used it as a prison to keep criminals and offenders. Today, the fort is lying in ruins and is a renowned destination amongst history lovers. If you are looking for a place in the main city of Ahmednagar where you can listen to the hush of nature, then Ahmednagar Fort is the place you should visit. If there is any place in and around Ahmednagar which is perfect for every kind tourist, then it is certainly Harishchandragad. From historians to nature lovers, trekkers to campers and photographers to offbeat travellers, it allures everyone. The fort is located at an altitude of about 4665 feet and is said to have been established thousands of years ago, as it has been mentioned several times in ancient Hindu texts. However, as per archaeological reports, the current building of the fort dates back to the 6th century, during the rule of the Kalachuri dynasty. Therefore, it is home to several temples, caves and other historic sites. Do you know about the mystical Kedareshwar Cave, which houses a Shivalinga surrounded by waist-deep water? The cave is said to have been supported by four pillars, out of which three are broken. As per local legends, it is also believed that if the fourth pillar breaks, the entire world will be destroyed. Wouldn't you love to unravel the mysteries related to this historic hill fort? It is also a perfect place for hiking and trekking. Another beauty lying in the midst of green vegetation, Kharda Fort is famous for its historic battle which was fought between the Marathas and the Nizams of Hyderabad in the late 18th century. It is one of the few forts in Ahmednagar which are located at the ground level. Even though the fort is in good condition today, it is only visited by local tourists. How about getting yourself to this unexplored marvel and bringing it to the limelight? It is located at a distance of about 100 km from the centre of Ahmednagar and is easily accessible by road. Located atop a hill, Pemgiri Fort is one of the least-explored historical places in Ahmednagar. Even though the region of the fort is famous for Pemadevi Temple, which is the most visited spot here, and is a perfect place for trekking, it remains unexplored throughout the year. If you are a history lover or a trekker, then Pemgiri Fort is definitely your destination this weekend. It is located at a distance of about 115 km from the main city of Ahmednagar.